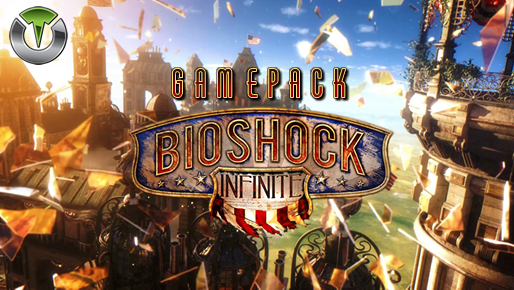 The BioShock Infinite Gamepack for Titan One has 37 distinct MODS grouped into 11 classes. Auto Aim allow you to auto-aim to the nearest enemy while scoping your rifle. Any time you pull the left trigger to aim it will lock to the nearest enemy. The in-game aim assist setting must be enabled. Auto-Aim is activated when aiming. Auto-Aim is activated only when the scope button is 100% pressed. Auto-Aim is activated only when the scope button is pressed but below 100%. Auto-Aim is activated only when the scope and fire button are pressed. The 'USE' button is used to collect money and other items. Sometimes is need press the 'USE' button repetitively. This MOD automate this task by assign a turbo mode to the 'USE' button. Turbo 'USE' mode on DPad Left. Turbo 'USE' mode on DPad Right. Turbo 'USE' mode on Dualdhock 4 Touchpad Click. Swap the Crouch and Melee buttons (Making the Marksman layout very similar to major FPS games). Most users play BioShock Infinite using the default button layout but a lot of players do use optional button layout. With the Button Layouts you can make any of the MODS on the Titan One work with your favorite button layout. The BioShock Infinite Gamepack allows you choose and combine one MOD from each Class, being possible to have a total of 11 active MODS at the SAME TIME. This means you can make combinations such Burst Fire added to Rapid Fire, resulting in an exclusive "Automatic Burst Fire" MOD. The Automatic Burst Fire can be optimized by adjusting the number of bullets fired per burst as well as the time between bursts. For additional optimization, you can add the "Scope Enable" MOD, which will make the Automatic Burst Fire be activated only when the ADS scope is in use.